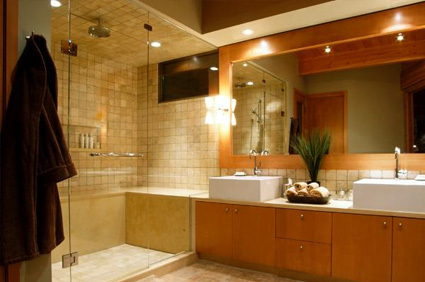 Handyman Electric, LLC provides residential bathroom remodels and renovations in Spokane and throughout Spokane County. Our licensed electricians are qualified to help design and install electrical equipment and wiring for any bathroom renovation project. We ensure that your electrical systems are updated according to local building and fire codes. We make sure to get your bathroom remodeling project done on time and within your budget, since we understand how important saving money is in today’s economy. We are happy to work with you to find the right solutions for all your residential electrical renovation needs.